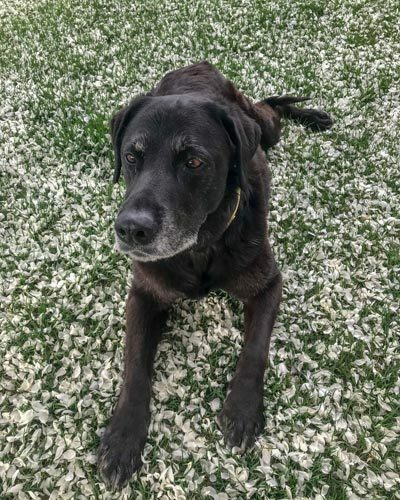 Kona has enjoyed roaming the Valley for over a decade, seeking adventures in the snow each winter and relaxing in the rivers during the summer. She’s on clean-up crew at the office, sure to find any stray crumb or snack that was forgotten. She enjoys lounging in the sun by the door, ready to greet any RFE visitor with a wagging tail.